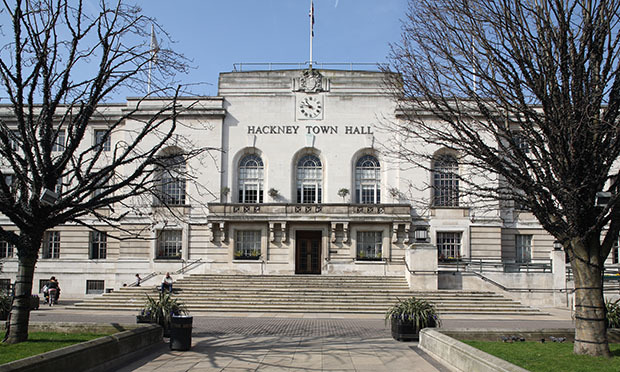 Hackney Council is currently consulting on plans to restructure SEND funding. Parents and carers have slammed the council’s “horrendous” plans to cut funding for children with special educational needs and disabilities (SEND). Kids with the highest needs are to have their funding reduced by 11 per cent, while others could see it slashed by up to 90 per cent. The proposals, which are currently published online for consultation, would impact all SEND children aged between four and 18 who attend mainstream schools. HIP, an independent forum in Hackney for parents and carers with children with disabilities, called the cuts “devastating” and criticised the council for targeting “the most vulnerable children in the borough”. But the council said it hopes the funding restructure will “speed up the process of schools applying for – and receiving – additional funding and support for pupils”. A spokesperson for HIP said: “These plans are wrong and risk creating a generation of pupils whose needs are poorly understood and inadequately supported. They also said the new funding system would deny children access to their statutory rights, as many will be moved off their legally enforceable Education Health and Care Plans (EHC) and onto a non-statutory “top-up funding” model. Hyacinth Myers, whose son has a variety of learning disabilities caused by a premature birth, called the Town Hall’s proposal “horrendous”. She said it took six years to get her son onto an EHC Plan and is now worried that he will lose his legal rights. While the council is expecting “no significant short term savings” from the changes, it hopes the restructuring will making funding more efficient in the long run. A Town Hall spokesperson said: “These proposals mean we can speed up the process of schools applying for – and receiving – additional funding and support for pupils with special educational needs and disabilities. “It is hoped that this early intervention will make SEND funding more sustainable, by encouraging different support options to be considered. But Sara, who did not wish to give her full name and whose severely disabled son will soon be starting at a Hackney school, accused the council of behaving “deceptively” and called the consultation a “wolf in sheep’s clothing”. She said that while the council’s proposal asks parents whether they want to make funding faster and more efficient, what they’re really doing is stripping SEND children of their legal entitlements. Hackney Council has already cut support to pre-school SEND children by reducing the number of Early Years Inclusion staff by almost 50 per cent. The council said a freeze in government funding for SEND children since 2011 has led to a £6 million shortfall in Hackney, which is currently being supplemented from other areas of spending. Cllr Anntoinette Bramble recently wrote to Education Secretary Justine Greening about this “hidden crisis” in education funding and urged her to reform the government’s policy. HIP last week held a meeting attended by more than 60 worried parents, and has set up a website asking people to respond to the consultation, which closes on 21 December. Anne Canning, Group Director for Hackney Learning Trust said: “It is highly unlikely that any existing pupils will see their funding affected. In the future funding differences are likely to be small and anyone who is assessed as needing an EHC Plan will receive one. UPDATE: This story has been amended at 6pm on 29 November to include a response from Anne Canning.